Smashed potatoes are an easy, pleasing side dish perfect for serving alongside your favorite main entrees. Pesto sauce makes these smashed potatoes over-the-top flavorful with so very little effort. 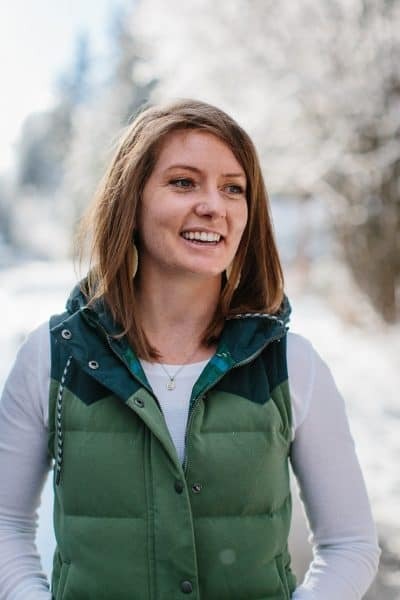 If you’re anything like me, there are some decisions in life you would rather someone else make for you, because – let’s face it – adulting is hard, man. 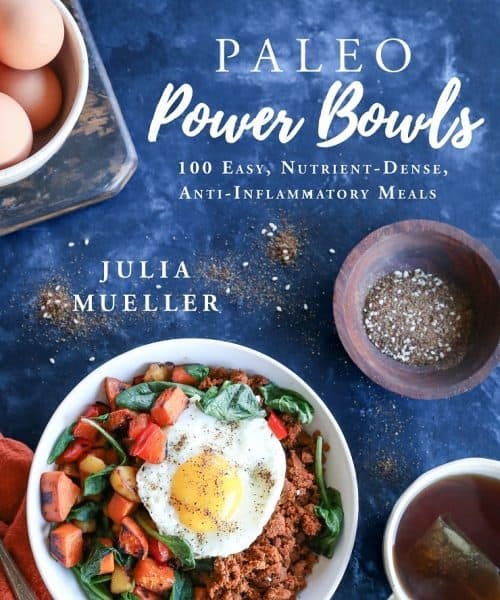 We (myself included) have a tendency to exacerbate anything we can get our hands on, but from my philosophical standpoint, we don’t need to do that to food. Save the complication for what is actually complicated, and for everything else? : keep it easy AF. 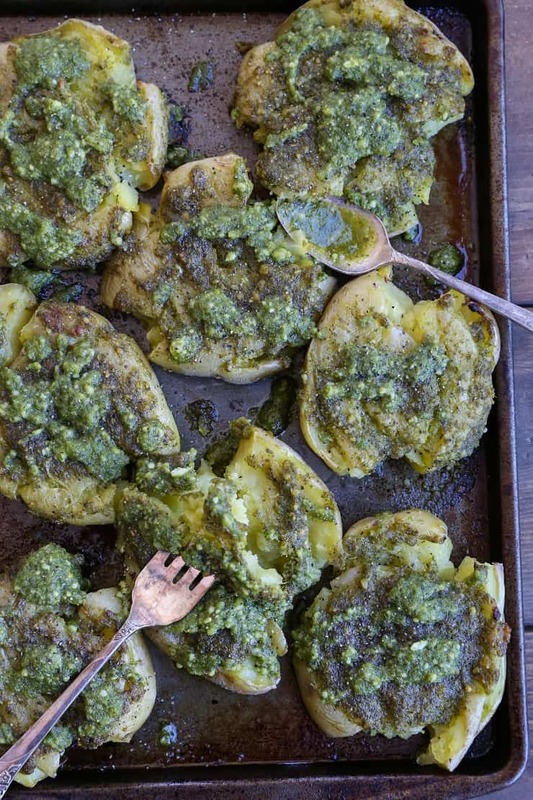 Enter: these pesto smashed potatoes. Last week, when I posted the recipe for Orange-Ginger Roasted Carrots, I mentioned I enjoyed them with lamb chops and pesto smashed potatoes. I had a reader ask for the recipe for the pesto smashed potatoes, so I couldn’t help but honor that request. If you’ve never smashed a potato, it’s never too late to start, and boy oh boy do I recommend it. Firsties, potatoes are a blast to smash. Secondly, the smashing process gives the potatoes an additional crisp, which in my mind is a winner’s game. Lastly, they’re so easy and versatile. Bonus: your momma will love them. …I know this, because it was my mom who introduced me to this exact dish (haaa ma!). 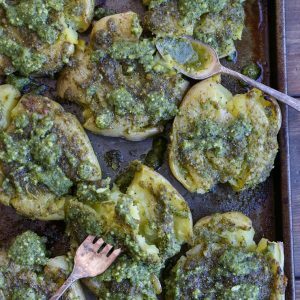 All you need for pesto smashed potatoes is two ingredients: Potatoes (I like gold) and pesto sauce. Three if you count sea salt. Four if you want to add some grated parmesan up top. Boil your potatoes for 25-30 minutes, until they’re very soft when poke with a fork. Strain and pat dry. Place potatoes on a baking sheet and use the back of a wide-bottomed mug (or meat tenderizer, measuring cup or wine bottle) to press down on the potatoes. If you’re using a meat tenderizer, you can get fairly aggressive, but if you’re using a mug or a wine bottle, you can just give a gentle press and they will smash easily. 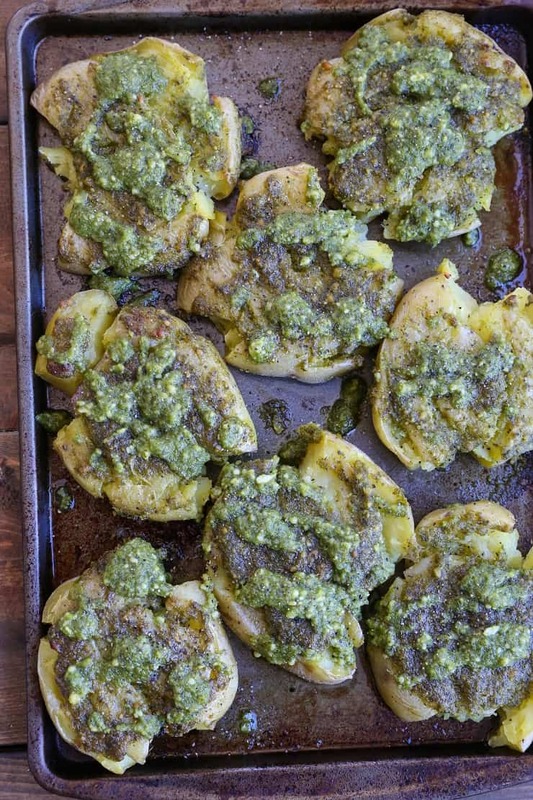 Drizzle pesto sauce liberally over the potatoes, and bake to desired level of crisp – I go for about 20 minutes at 425. Let’s talk pesto sauce options. Spoiler alert: they’re endless. Truthfully, when I’m under any sort of time crunch, I use store-bought pesto sauce (I go for one that uses sunflower oil instead of canola oil. Remember to read your labels, folks). If you’d like to do it all from scratch, you can make my basil pesto sauce, kale pesto, broccoli pumpkin seed pesto, beet green pesto, or roasted beet pesto. And that’s it! An easy, delightful side dish that can essentially be applied to any meal. 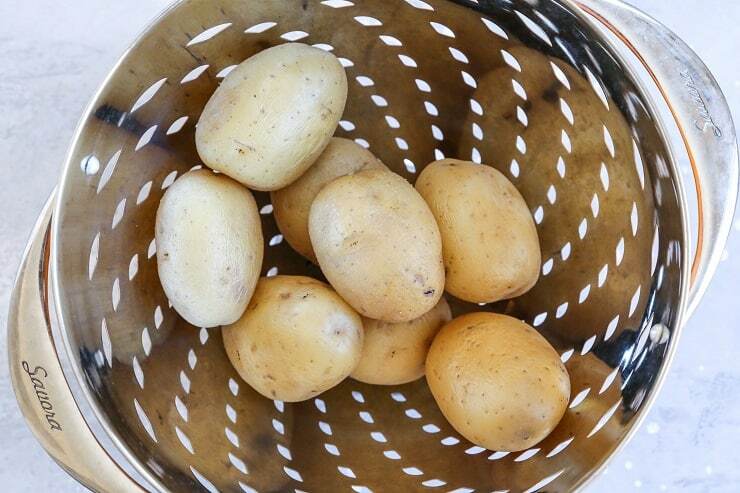 Place potatoes in a large pot and fill with water. Bring to a full boil. Cook at a gentle boil for 25 to 30 minutes, or until potatoes are very soft when poked with a fork. Strain and allow potatoes to cool. Lightly oil a large baking sheet with cooking oil of choice. 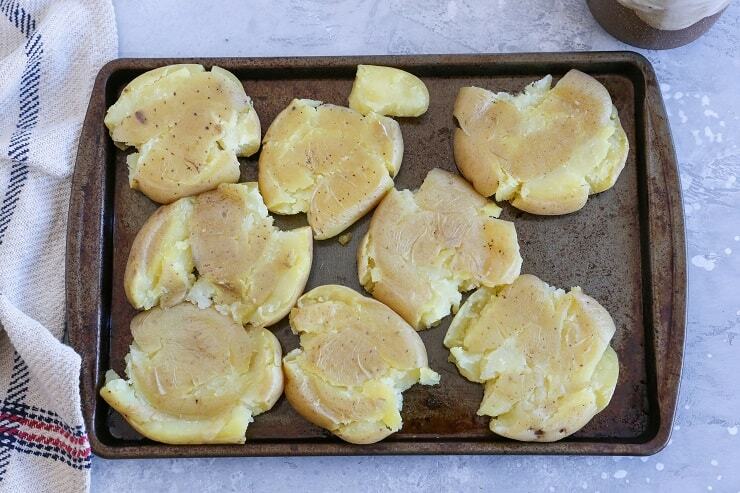 When cool enough to handle, transfer potatoes to the baking sheet. Use the bottom of a wide mug (or meat tenderizer or wine bottle) to press the potatoes until they're about 3/4-inch thick. 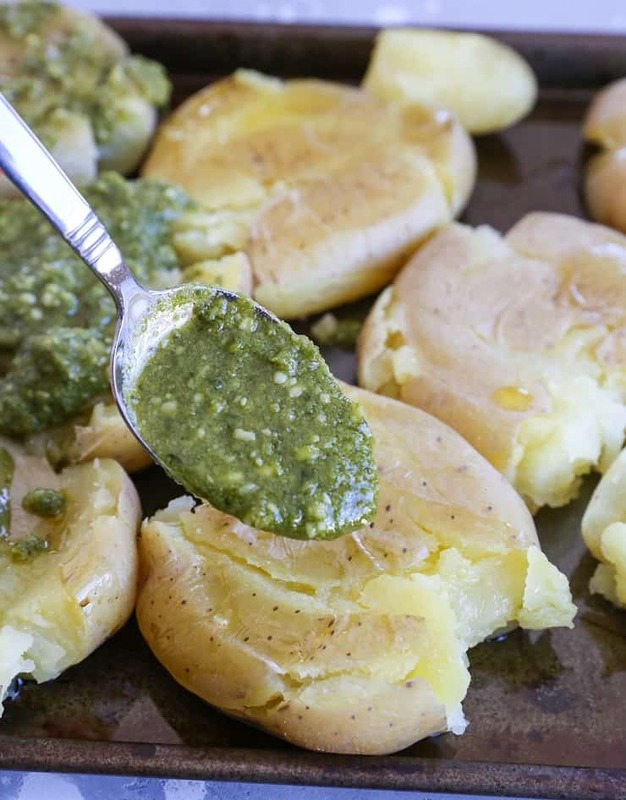 Drizzle potatoes generously with pesto sauce and sprinkle with sea salt. If desired, sprinkle with grated parmesan cheese. Roast on the center rack of preheated oven 20 to 30 minutes, or until potatoes reach desired level of crisp. Serve with your favorite entree. My favorite recipe for smashing food! Why not make these for lunch, no limits! really nice side dish, nice, haven’t thought about pesto before, thank you for a great dish and wonderful inspiration!